AFTER stealing the show at the Royal Variety Performance last year, Cardiff comedian Rod Woodward returns to St David’s Hall on Saturday 2 March. 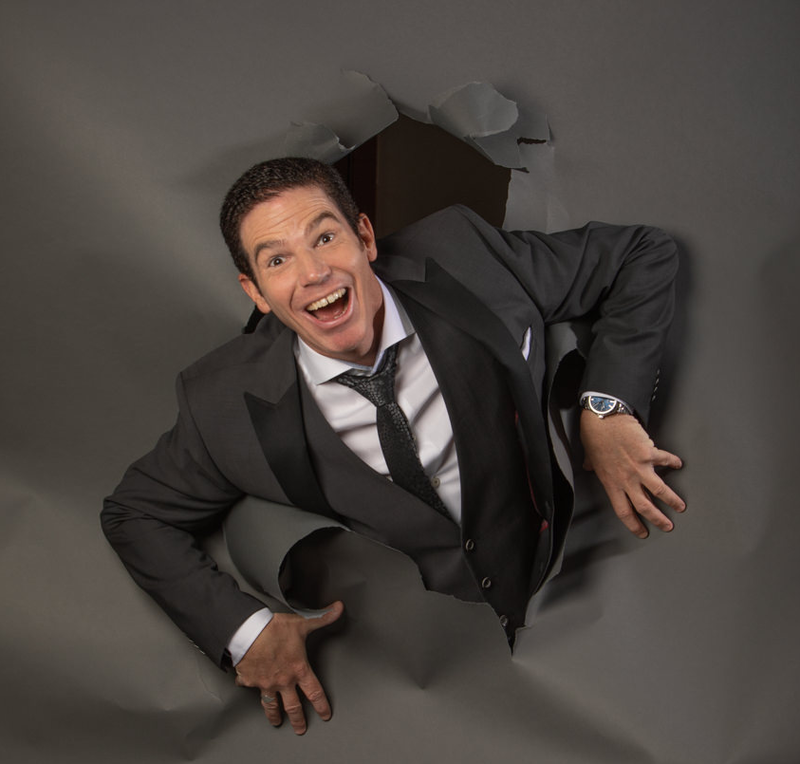 Named Best Variety Newcomer and winner of BBC’s Funny Business, it promises to be an unforgettable fun-filled evening of laughter with one of the country’s fastest rising comics. Rod is the son of eminent Welsh sports writer Karl Woodward, who was the longest serving journalist for the Western Mail. He had planned to follow his Dad and take up a media career, but when offered a job as a studio audience warm-up man at HTV Wales, he decided to pursue his childhood ambition of becoming a professional comedian. The rest is Geography! Rod quickly established a glowing reputation on the circuit with top names like Peter Kay, Bob Monkouse and Barry Cryer all counting themselves amongst his fans. Having performed a successful 28-night run at the Edinburgh Fringe Festival, supported slots soon followed with Russell Brand and Paddy McGuinness, and he performed at Planet Hollywood in Las Vegas ahead of Joe Calzaghe’s fight with Bernard Hopkins. Plus, upon reaching the 2008 FA Cup Final, Rod celebrated Cardiff City’s success by writing and singing the comedy song Do the Ayatollah accompanied by more than 100 Bluebirds fans. Set to the tune of the Macarena, it was a YouTube sensation and was featured on Soccer AM and GMTV. His success continues to sky-rocket as he was recently invited to appear again on ITV’s hit show Tonight at the London Palladium. Plus, he showed no nerves whatsoever telling jokes in front of Wills and Kate at the Royal Variety Performance in December 2018. Catch Rod Woodward performing in his hometown at St David’s Hall! Tickets are £22.50 (plus an optional £1 postage fee).